We are a family business and have also worked closely over the last 10 years with a number of extremely talented designer-builder-entrepreneurs. Dan Morrish, grand-son of a timber-merchant, son of two musicians, has always built: while still at school, a studio in his parent’s back garden, using reclaimed timber and local help; before University, guests’ cabins in a fishing lodge in the Okavango River Delta in Botswana; after his degree, a sailing boat in a marina outside Hong Kong; after his diploma, the schemes he designed with architecture colleagues. Since joining the architecture profession, he has designed domestic and commercial projects of increasing complexity and scope. But his practice was leading him to spend ever more time in front of a computer, and ever less with building materials. Professional experience confirmed his original instincts: that participation is more effective than consultation; that design decisions are best made on site by craftsmen who have intimate knowledge of the context and materials; that the best materials are often those to hand; that, as Christopher Alexander puts it, the separation of the role of architect and builder does ‘organic damage to the fabric of buildings and society’. In 2008, Dan and his family left London to find projects where he could physically make buildings and where the family could be along-side that process. Initially, they lived and worked in South West France, on the restoration of a barn and conversion of a Farm House. 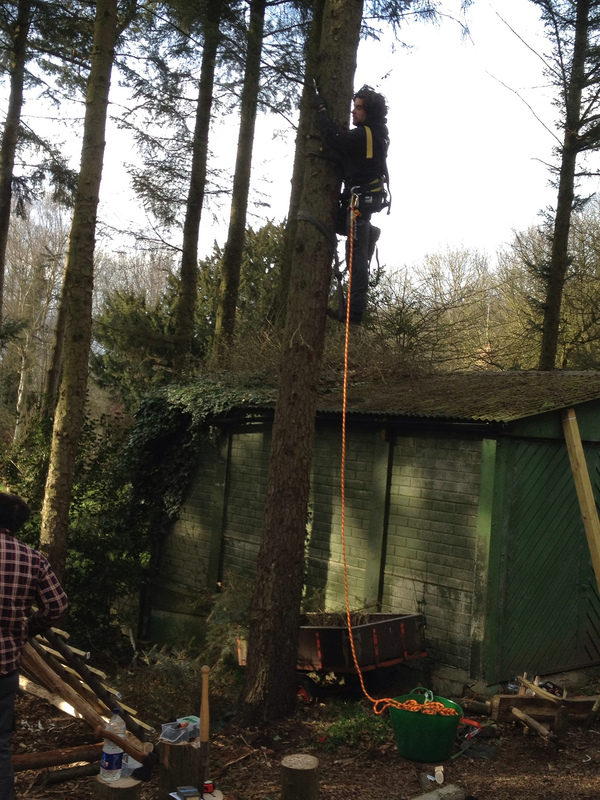 Over the last two years, they have been living in Dorset, constructing a round-wood timber building for a local forest school and a garden studio in London to Passive House thermal standards. 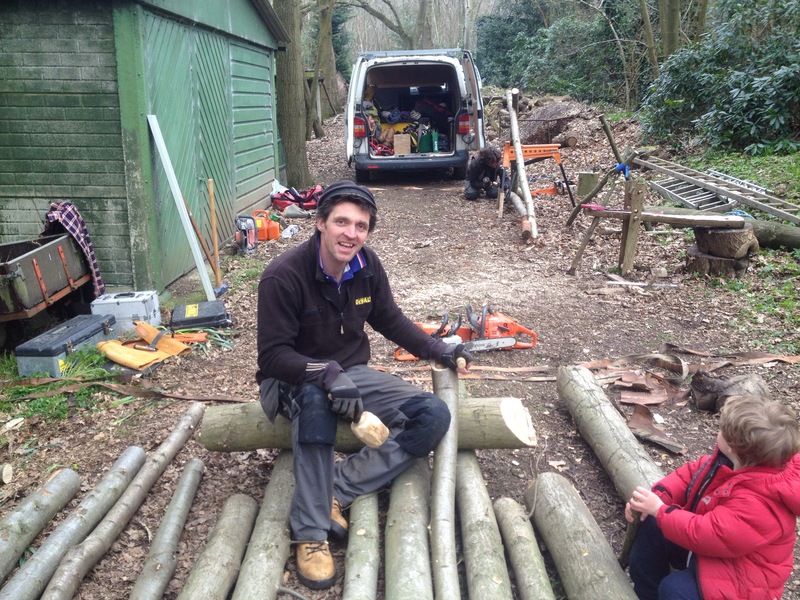 At Wilderness Wood, Dan leads on forestry, building work and involving young people in that work. Emily Charkin is a researcher who also likes to make things happen. After her first degree in history at Cambridge University, she worked as a teacher in Italy and Spain, a researcher at the National Centre for Social Research and a curriculum director for the civic leadership charity, Common Purpose. After her second child was born in 2005, she went back to university to do a MA at the Institute of Education in London. Since then she has researched and written about people and places which challenge our assumptions about children, education and social change and offer alternative paths for the future. She has written about the view of the child in anarchist learning communities such as the Peckham Health Centre (1935-1950) and Whiteway Colony (1898-today) and the ideas of radical writers such as Leila Berg (1917-2012), Colin Ward (1924-2010) and John Holt (1923-1985). She recently started an ESRC funded PhD at the Institute of Education about places where children have been involved in building their own physical environments. She leads oral history sessions in schools and communities. And is trustee of the Pioneer Health Foundation. At Wilderness Wood, she takes the lead on involving people in its stewardship and improvement. Dan Browne leads environmental refurbishments of traditional and historical buildings, focusing on their thermal efficiency. 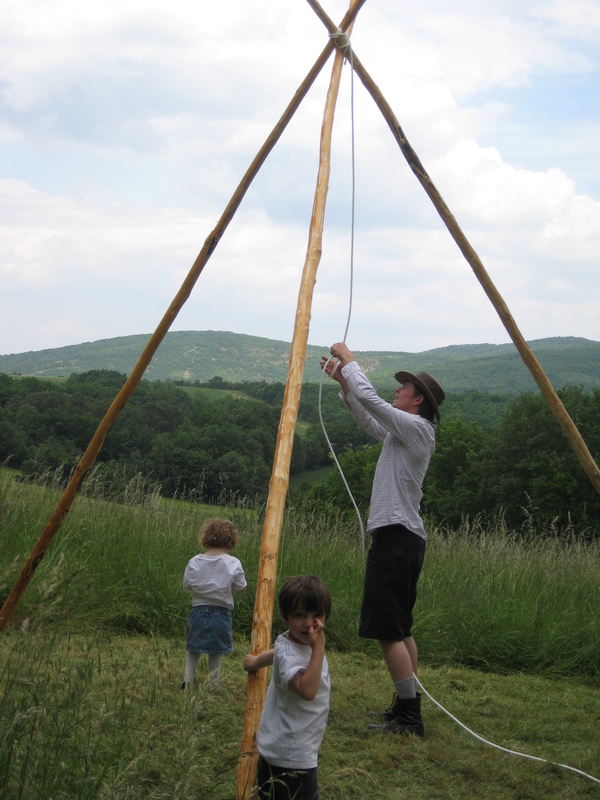 He has a Master’s degree with distinction in Environmental Architecture from the Centre for Alternative Technology. He recently completed a report on energy efficiency measures for the Society for the Protection of Ancient Buildings. He is currently leading on a number of practical initiatives to increase energy efficiency at a Camphill Farm in Dorset, for adults with learning disabilities. He is also learning how to be a farmer. James Gallagher runs his own building company out of a workshop in Bristol. His work ranges from temporary installations for festivals to high-end joinery for period house renovations. Recent projects include residential conversions, boat refurbishments and stage construction and installations for Glastonbury festival, the closing Ceremony for the Olympics and the ‘Secret Garden Party’. Simon Jessel worked for 10 years in theatre and opera as a stage manager, production manager and touring master carpenter. He then set up a scenery building workshop which successfully served companies in London, the UK and internationally for twenty years. In 2006 he started to work freelance as a CAD draughtsman and consultant to theatre companies, scenery builder, architects and contemporary artists. His clients have included Covent Garden Opera House, ENO, National Theatre, Glyndebourne, The West End, Yinka Shonibare and Anish Kapoor. Maddie Jessel is currently studying International Relations at Queen Mary’s College in London. She is also a talented artist and craftswoman who has worked on building and education projects in France, India and the UK.